In this quick game for parents and kids, you're capturing dinosaurs for your zoo. Push your luck to catch as many as you can, but stop rolling before you're stomped three times, or you'll lose them all. Catch 20 dinos to win the game! This is a free helper app for Ogre. This is not a standalone game! You will need a copy of the Ogre board game (or Ogre Miniatures) to play a game. The app also includes PDF Record Sheets for both the Ogre board game and Ogre miniatures. 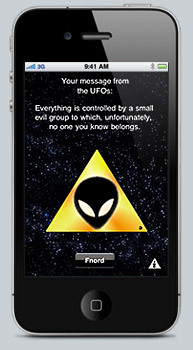 You can print these directly from your phone! Based on the original Zombie Dice . 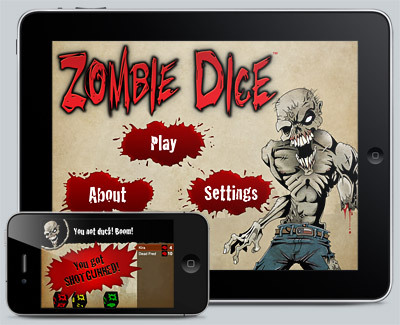 . . but now the dice, and a zombie opponent, are in your iPhone! 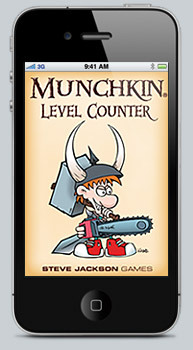 Now all you smartphone-using munchkins can get an unfair, yet completely legal, advantage when you play Munchkin or Munchkin Quest! And in version 1.1 we added a Kill-O-Meter screen, so you can keep track of combats too!